We are pleased to inform you of the result of the just concluded annual final draws of Heineken Manchester Zone A3, UK Annual Promo. The online Heineken International Annual Promo draws was conducted using online survey conduct system from about 80,027 E-mail addresses of individuals and corporate bodies. However, no tickets were sold but all email addresses were assigned to different ticket numbers and email quote for representation and privacy. 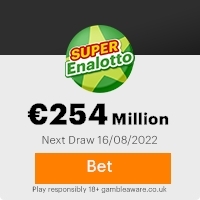 You as well as the other winners are therefore to receive a cash prize of 385,000 (THREE HUNDRED AND EIGHTY FIVE THOUSAND BRITISH POUNDS) from the total payout. To claim your prize amount of 385,000pounds contact our Claims Representative. This Email with the Subject "Fw: HEINEKEN INTERNATIONAL// Seasonal Promo Results(You emerged a winner)" was received in one of Scamdex's honeypot email accounts on Sun, 13 Apr 2008 12:40:33 -0700 and has been classified as a Generic Scam Email. The sender shows as "ratsenburger" <ratsenburger@comcen.com.au>, although that address was probably spoofed. We recommend that you do not attempt to contact any persons or organizations referenced in this email, as you may expose yourself to scammers and, at the very least, you will be added to their email address lists for spam purposes.